Jasmine, originally uploaded by -SPK. This is the outfit that Grandma and Grandpa S. got for Paige for Christmas. Paige is in heaven! 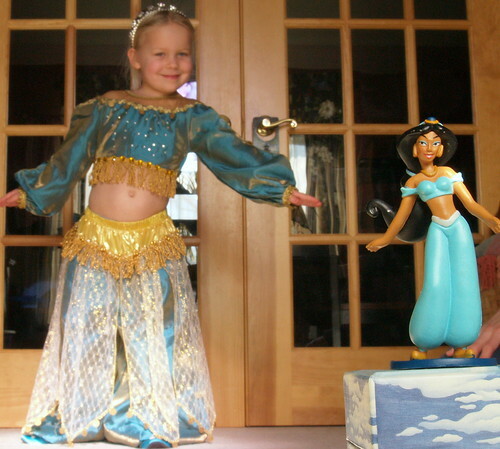 She kept on asking "Daddy, do I look JUST LIKE Jasmine?"